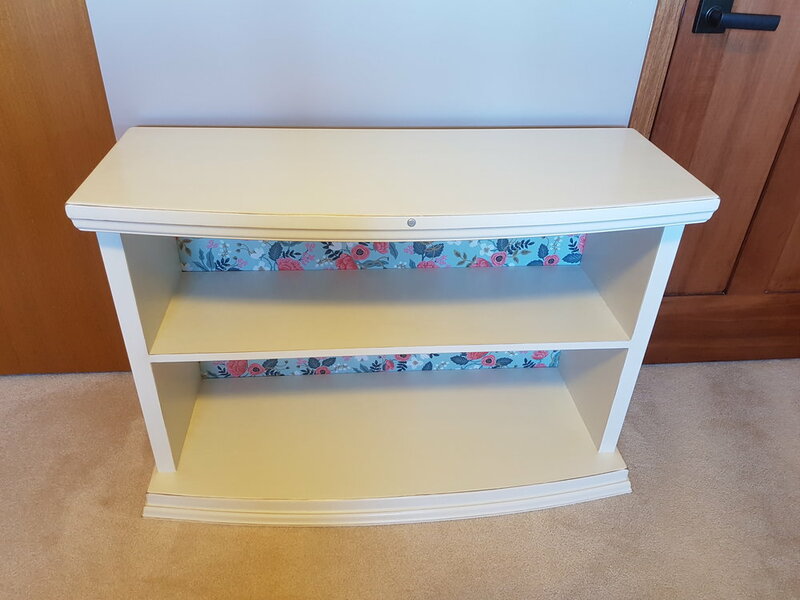 We had the chance to take another crack at making a round top chest. Both very similar and very different from the first, it was just as fun to make. Teachers are a crucial part of shaping our future. 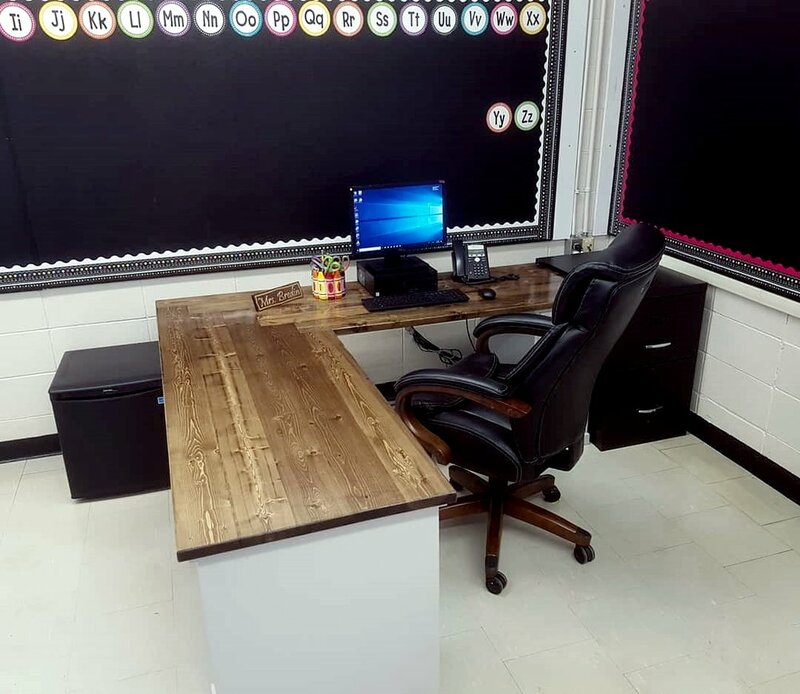 So we shaped this pine desktop to give this teacher ample space to work. We loved this project, especially since it hit close to home. 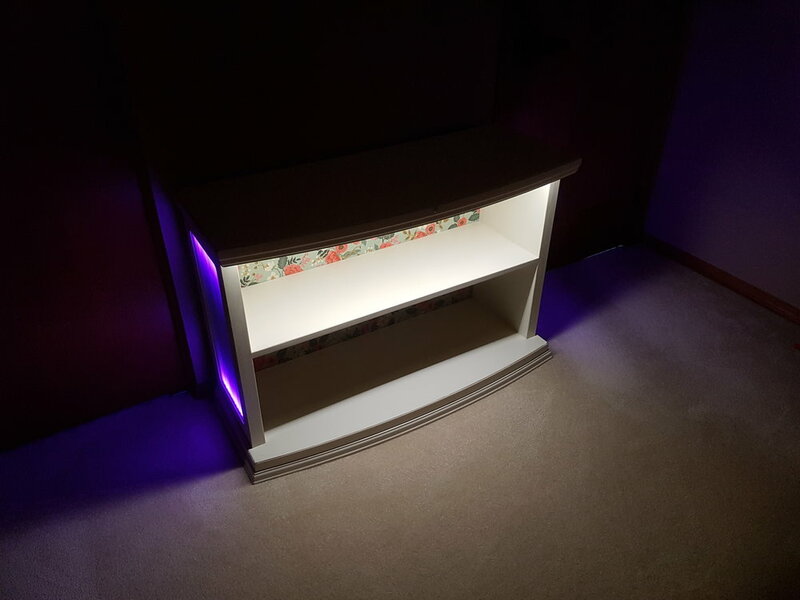 This custom bookshelf came complete with integrated multi-color lighting and touch controls. 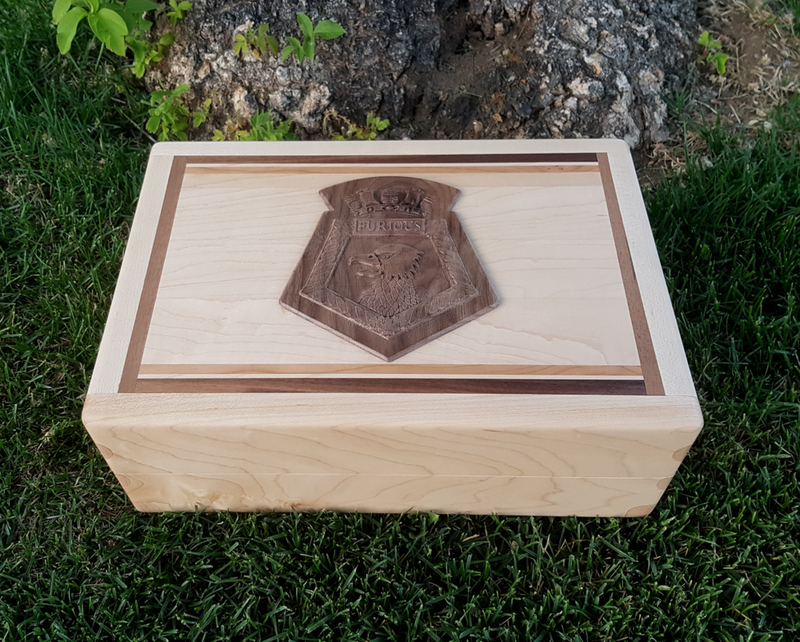 This Maple, Mahogany and Cherry Challenge Coin box presented some interesting challenges. The concepts was 3D modeled before we started construction to ensure everything would fit as intended. This rustic Oak and Honey Locust live edge chest was fun to make. It sports a 2.5D bear carving and Native themed artwork on the front, with a epoxy filled details on the top. Completed our first furniture order, a pair of 'Couch Tables'. These tables were constructed using a steel tubing frame, with stained and distressed spruce table tops. This project was a lot of fun to make. The box and lid is constructed from oak and pine plywood. 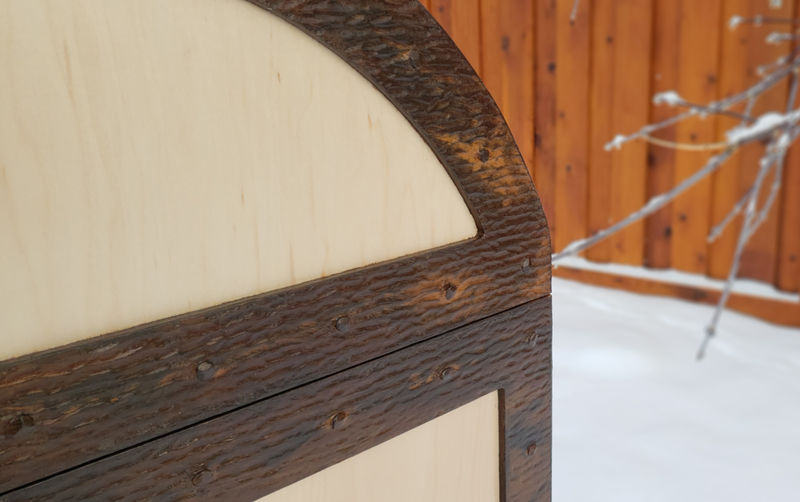 The metal 'banding' is MDF (a sawdust and glue board) that was cut and textured on our CNC, and secured to the oak with authentic wrought iron nails. The trim was then coated with Modern Masters Iron paint and patina'd to give it a slightly rusty/aged look. This was an interesting project. We were asked to make a 4' x 4' scenario tabletop for a dice based tabletop game (Warhammer 40k). 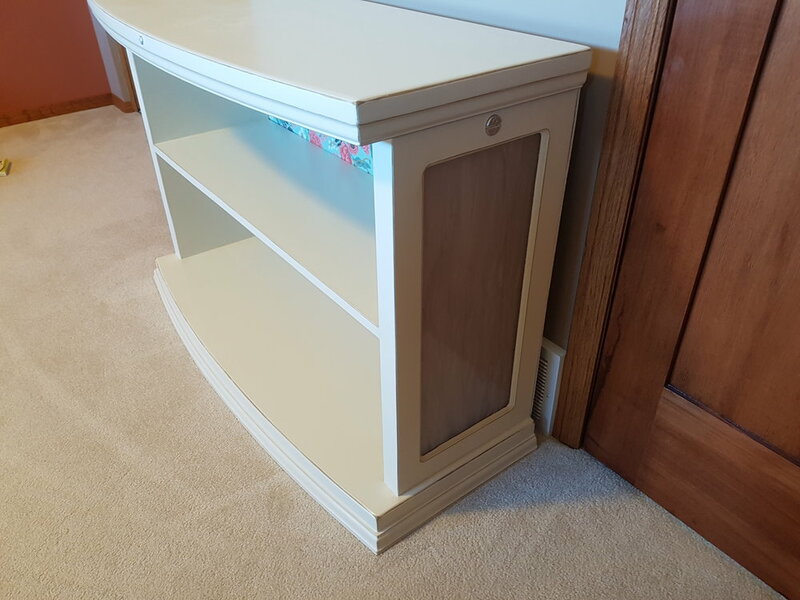 This project was for an elementary school student who could benefit from an adjustable writing surface. 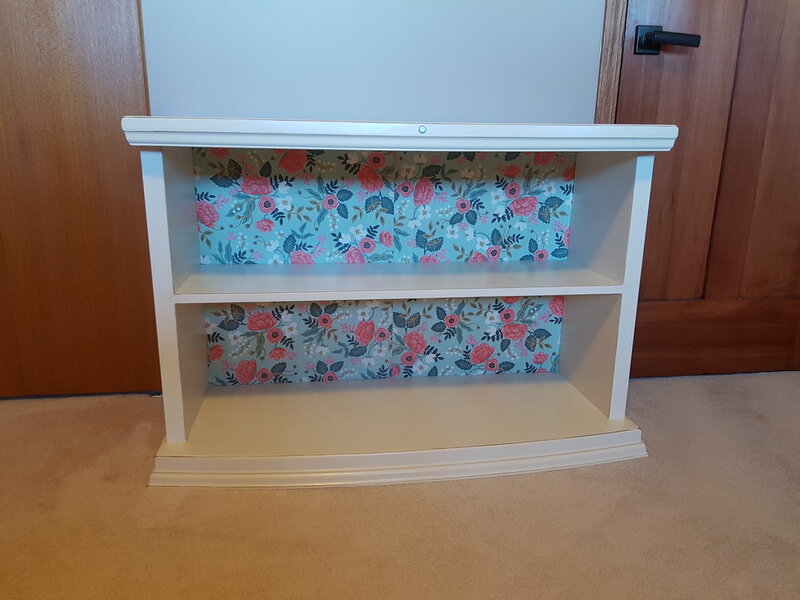 It folds flat for storage, can be set at 50º, 45º, 30º, and 20º, and has a removable ledge to hold an tablet or book.